Large Shaped Pads For Men are designed for those with moderate to heavy levels of incontinence. 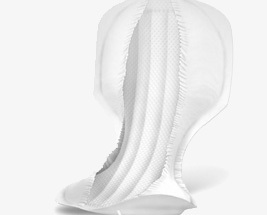 Large Shaped Pads offer greater protection than Washable Pants and Small Shaped Pads. For protection against heavy or faecal incontinence please visit our range of All in Ones. Large Shaped Pads work best when worn with stretch pants as these hold the pads closer to the body and keep them securely in place.